I don’t do book reviews very often, but I’m making an exception. 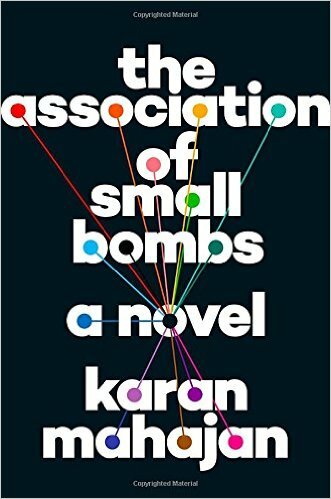 That’s because Karan Mahajan’s THE ASSOCIATION OF SMALL BOMBS is hands-down one of the most important books I’ve read in a long while. It begins with an act of terror – the explosion of a small bomb in an ordinary marketplace in Delhi – and follows the reverberations of the event backward and forward in time in the lives of both victims and perpetrators, exploring the unexpected yet inevitable interconnections and ultimately explaining better than I would have thought anyone could exactly what this thing called terrorism is all about. “You turn into what you hate,” one of the characters observes. I’m afraid he may be right.